Whether for a weekend jaunt, extended vacation or honeymoon, Barbados and the nearby private isle of Petite St. Vincent have a range of options for travelers looking for peaceful and serene, jet-set chic or loud and electric. No airport, no phones, no formal check-in, no keys, no television... PSV is best described by what it is not: A place to go in order to remain connected to this wonderfully connected 24/7 world we've created for ourselves. Nope, PSV is about one thing and one thing only: Tranquility. And in today's world that can be hard to findâ€“then again, so can PSV. Getting there requires a flight to Barbados, then an island hopper to Union Island, followed by a quick boat trip. Not to worry though, once you arrive on this 113-acre privately owned hideaway in the Caribbean chain of islands called the Grenadines, you will be greeted with a Pina Colada, and the travel will seem worth it. 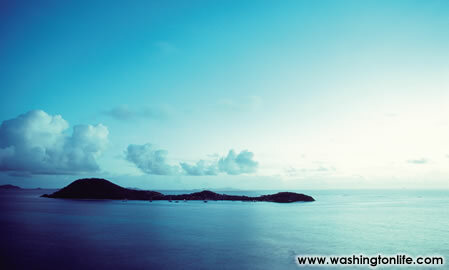 PSV is completely surrounded by secluded white sand beaches, clear turquoise water and shallow reefs. - If turtles aren't your thing, try the island's therapist, who simply goes by "Lisa." She specializes in Yoga, meditation, spa facial treatments and perhaps email withdarwal. Its 22 cottages are scattered over the island's hills, cliff tops and beaches. The only way around the boutique island is by golf cart or by walking. The cottages, built with native stone quarried from the island, are spacious and open with terracotta floors and wood ceilings. If you want service, just raise the yellow flag outside your cottage and place your order next to itâ€“an attendant will bring you whatever your heart desires within half an hour. For honeymooners who want undisturbed privacy, simply raise the red flag. If you need to ask if your Blackberry still works here, you've chosen the wrong island for your vacation at. The shallow reefs surrounding PSV are home to colored fish and large turtles. Complimentary snorkel equipment is available for all guests in addition to the small sailing fleet of Hobie Cats, Sunfish, windsurfers and glass bottom kayaks at the dock house. The speedboat Jahash or Jambalaya, a new sailboat, are available to charter for a day of snorkeling, scuba diving, fishing or exploring nearby islands. There is also a lighted tennis court surrounded by fragrant flowers and bushes where guests can play during the cooler hours of the day. Or pamper yourself with a facial or Swedish massage. DAPHNE'Sâ€“just like the famous London establishment; delicious Italian and fresh fish. Located on the beach next to The House. 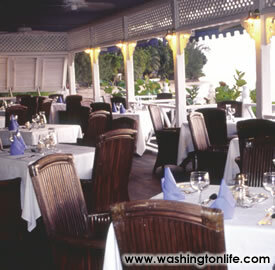 Ask your concierge where you can try the national dish of Barbados: FLYING FISH. Meals are served in your cottage or the main pavilion looking out on the harbor where guests can socialize. The cuisine includes fresh seafood and meats flown daily from a Boston butcher. If you would like, the staff can prepare a gourmet picnic meal, complete with china and linens for you and your guest. If trendy travel is what you seek, try "The House," located on the west coast of Barbados. The destination is perfect for youthful couples and young celebrities (like Alicia Keys) that prefer boutique hotels over boutique islands such as PSV. The House blends chic design and minimalist grace with the essence of the Caribbean. Upon arrival you are given a complimentary half-hour massage and assigned your Personal Ambassador, who will make sure that your stay is all you desire. All 31 rooms, overlooking sand and sea, include air conditioning, bath tub and shower with a variety of Molton Brown products. Each suite also boasts 100% Egyptian cotton linen, a feather bed, pillows, and duvet, cable television, a tea kettle, hair dryer, mini-fridge, Espresso Machine, candles and a personal safe. The hotel sits on a stretch of sandy coast with complimentary beach services including fruit, cool towels, spritzers, massage, and drink serviceâ€”perfect for soaking up the sun with that someone special. Water sports are complimentary and there is a fitness room and swimming pool on the property. When in Barbados, do as the Bajans. And if you are there at the end of July / beginning of August, that means Crop Over festival. 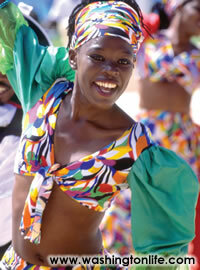 These summer months are when the country celebrates its cultural heritage with festivals throughout the island. The festival's roots can be traced to the 1780's, when Barbados was the world's leading producer of sugar. As the sugar industry waned, so did the festival, and it was eventually terminated in the 1940's. But Crop Over was revived in 1974 and has been going strong ever since. During the five-week-long festival, travelers can experience a myriad of traditions, including folk concerts and art exhibitions. Cohobblopot is one of the festival's mustattend events. 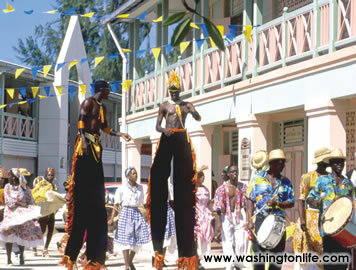 This carnival regularly features the most popular calypso performers and bands playing to packed audiences. Calypso is a huge part of Crop Over and the many performers compete for titles such as Party Monarch, the Road March Monarch and Pic-O-De-Crop Monarch. The semifinals for this competition are held on the East Coast Road, where performers showcase their talents on a stage backed by the Atlantic Ocean. Fans bring picnics and sit on the hillsides to watch. The finals, where the titles are decided, are staged in the National Stadium. The grand finale of Crop Over is the Grand Kadooment. The parade features costumed bands marching to calypso music, while revelers in the street have nothing to worry about except "jumpin' up" and having a good time. The parade makes its way from the National Stadium to Spring Garden, where the party continues with more music, great food and fantastic drinks. For some, the celebration isn't complete without a swim at the nearby beach. 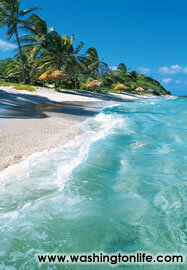 - Barbados has maximum daily temperatures of 75 to 85 ºF year around. - The 21 by 14 mile island has a population of approximately 254,000. - The island's west coast is marked by the calm Caribbean sea while the east coast boasts Atlantic surf and rugged cliffs.